If you are missing teeth, there are options for replacing them. For a completely natural-looking replacement that functions like a real tooth, the best option is a dental implant. While this is a great option for most people, there are still a few questions to ask your implantologist or general dentist when talking about dental implants. Are traditional or mini-implants better? There are two main types of dental implants: traditional implants and mini implants. Traditional implants are larger and provide a more stable solution. However, they also require a good amount of jaw bone to be successful. Because missing teeth can result in bone loss in the jaw over time, we may determine that mini implants are a better option, or we may perform a bone graft to increase the amount of healthy bone in the area. What type of anesthesia and sedation do you offer? Based on the number of implants that need to be placed and your medical history, we will suggest the best type of anesthesia or sedation for your implant procedure. On very rare occasions, the body can reject a dental implant due to an allergic reaction to the titanium in the implant. Most problems that occur with dental implants are due to a lack of proper aftercare. 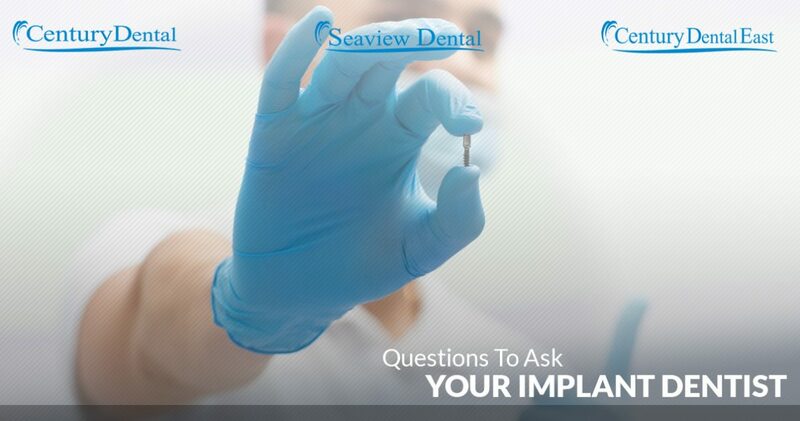 We will provide you with aftercare instructions to help prevent infections or issues at the implant site. Do you specialize in implant dentistry? What is your experience? Not all dentists are trained in implantology. We are lucky to have Dr. Ira Port on our team! He has placed over 19,000 implants in his career and was the first dentist in the U.S. to use Grafton bone replacement therapy in private practice. He is a member of the American Academy of Periodontology, the American Academy of Implant Dentistry, and the American Dental Society of Anesthesiology. In short, you can rest easy knowing you are in good hands with Dr. Port. How long until I have teeth again? When people hear that dental implants are a three to four-month procedure, their biggest concern is the thought of walking around without teeth. Don’t worry. While the implants must heal into the jaw bone before the permanent crown can be placed, we will fit you with a temporary crown or alternative in the meantime. While this will not have the full use of a finished implant, it can help you look, feel, and speak normally in the meantime. Yes. At our dental offices, we are here to help our patients make empowered decisions about their oral health and will always outline all of your options. Is there an implant dentist near me? We have three dental offices (Century Dental in Jackson, Seaview Dental in Eatontown, and Century Dental East in Pine Beach) where you can visit a general dentist and receive an examination. If there are periodontal problems or if you are interested in dental implants to replace missing or damaged teeth, Dr. Ira Port, our dental implantologist and periodontist will help you with further care. Schedule a dental appointment today!